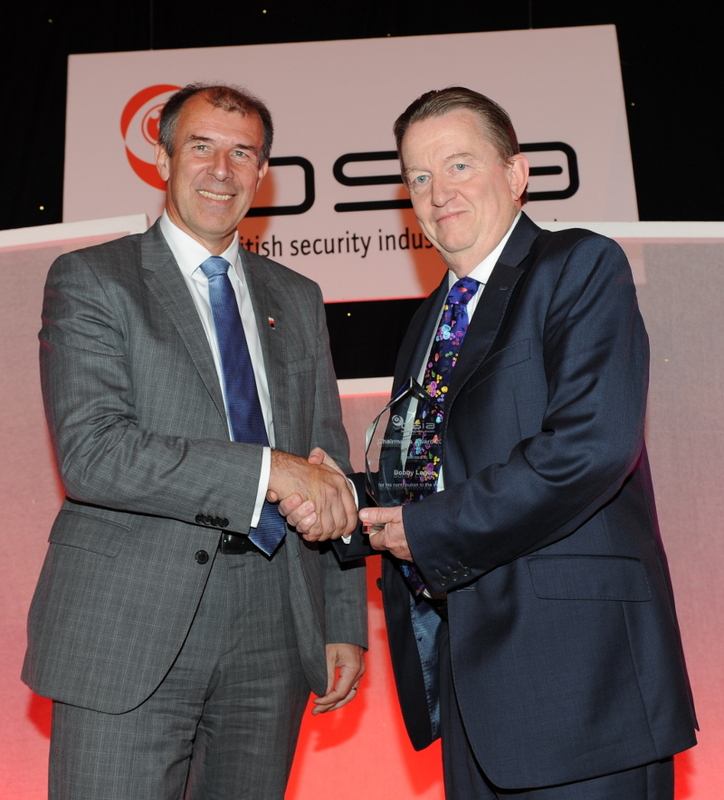 Key contributors to the ongoing success of the private security industry were recognised today (27th of June 2012) in this year’s prestigious British Security Industry Association Chairman’s Awards. The awards were presented at the Association’s Annual Lunch at the London Hilton on Park Lane, in the following categories: Contribution to the Industry, Contribution to the Community, Services to Exporting, Contribution to Training and Contribution to Standards. Hand picked by newly-elected Association Chairman, Geoff Zeidler, each of the winners was selected in recognition of the significant impact that their commitment and dedication has had on our industry. The Chairman’s Award for Services to Exporting was given to Simon Everest of UK Trade & Investment. As Head of Security Directorate for UKTI, Simon has led the reintroduction of security as an established sector within the organisation, ensuring that the voice of small and medium enterprises is recognised as part of UKTI’s efforts to support our sector in increasing exports. Helping UK companies to tap into emerging markets, Simon has travelled extensively to security exhibitions around the globe, working closely with trade associations to ensure that all facets of our industry are represented as part of these developing relationships. 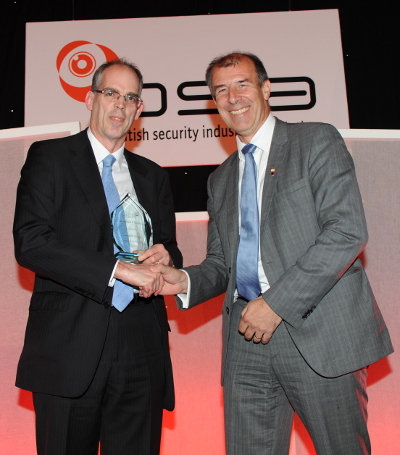 The award for Contribution to Standards was handed to Mathew Major of the BSIA’s Information Destruction Section. As one of its founding members, Mathew has been a stalwart of the Information Destruction section since its inception ten years ago. He has been a driving force behind the development of the section’s Code of Practice into the first British Standard for Information Destruction, and eventually into European Standard, EN15713, against which all information destruction companies are now judged. In addition to this, Mathew worked tirelessly alongside the SIA and other section members to put together the Information Destruction Operative qualification, which covers best practice in security, health and safety, and customer service, and is the first operational qualification of its kind for the information destruction sector. The award for Contribution to the Community was presented to G4S’s Diversity and Inclusion team, led by HR Director, Valerie Dale, for the Remploy Baton Relay project, an initiative developed to celebrate employment success stories for disabled people. In December 2011, the baton initiative was developed by Remploy, whereby more than 1000 batons were handed out to people who were then asked to share an inspirational story of a disabled person, or an organisation linked to disability. Inspired by this initiative, G4S continued it into 2012, with the baton being passed each month between G4S’s business units across Britain, highlighting the company’s ongoing commitment to diversity and inclusion for disabled people in the workplace. The final handover is planned to take place at the Olympic Park in London before the start of the 2012 Olympic and Paralympic Games, when G4S will return the baton to Remploy. Nominations for Contribution to the Community category were of a particularly high standard, and at the ceremony, BSIA Chief Executive James Kelly also gave a Special Commendation to Grainne Moss of Securitas Security Services Ltd. Grainne is National Front of House Manager at British Gas / Centrica, and was nominated for this award for her support of a charity project entitled ‘Six Ordinary Men Doing Extraordinary Things’, which saw six managers from the business take up the challenge of trekking to the North Pole. Grainne was the driving force behind the expedition, which raised over £200,000 for the charity, Sparks. Finally, the award for Services to the Industry was awarded to Bobby Logue of Interconnective Ltd and Beyond Basics Training. In his 33 years in the security industry, Bobby has made several major contributions to the advancement and development of the security sector, from the launch of Interconnective Limited in 2000, which was swiftly followed by the establishment of the award-winning Infologue Top 20 in 2001. In 2005, Bobby was the author of a 28-page study on the future of the guarding industry, entitled Even Dinosaurs Can Learn to Dance. Then, in 2006, Bobby developed the award-winning Four Issues, One Voice campaign, which highlighted flaws in the implementation of the Private Security Industry Act 2001. 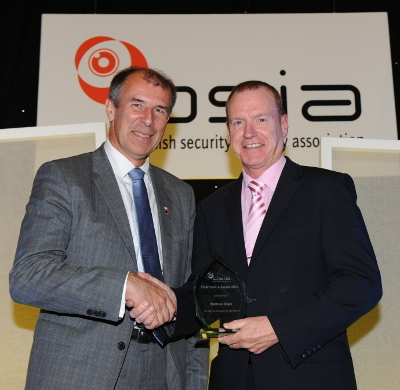 In May 2010, Bobby forecast the scrapping of the Security Industry Authority, and acted as a strategic advisor to the BSIA, helping to forge an industry-wide partnership and articulate the shared industry vision to the SIA and Government. His company, Beyond Basics Training, is also a founding member of the BSIA’s new Training Providers Section, and Bobby is personally responsible for introducing two significant new members to the BSIA. 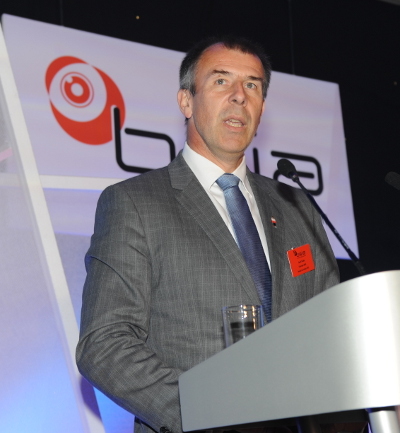 He is a passionate supporter of the security industry and works tirelessly to ensure that the BSIA voice is heard and that it remains the strong representative body that the industry needs.